It lets you find the key influencers to market your content by evaluating content tyoe and deciding which topics get most attention, so that you can receive the most excellent performance result. You just need to enter a domain or topic name to find out an influencer or topic to reach to, in hope of getting them market your SEO or marketing campaign. This tool comes in both free and premium version. You can use Keyhole, a premium tool, to measure a trend’s or brand’s impact on Facebook, Instagram and Twitter. You can also use its information to lead your influencers outreach efforts. Offering you access to a sharable and intuitive dashboard, it helps track campaign, keyword and hashtag metrics. As a complete social media premium scheduling tool, now you can easily log in to this tool to find the engagement number for your LinkedIn, Google+, Twitter and Facebook posts. 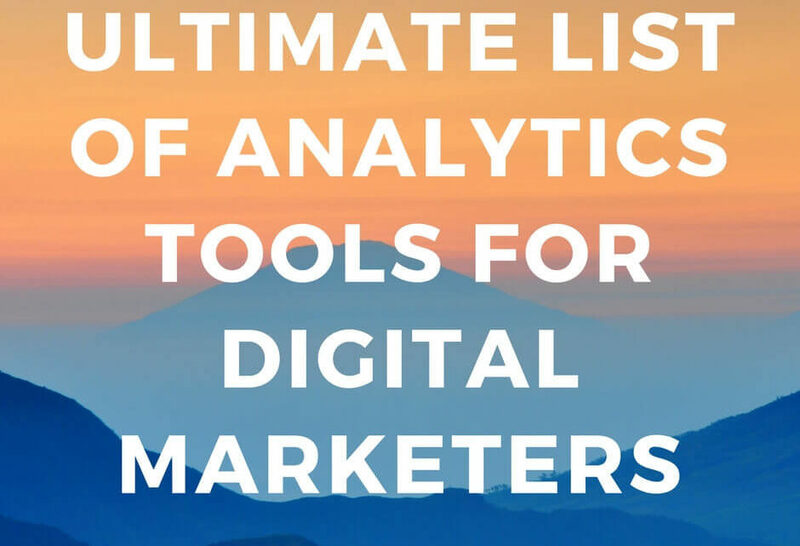 Depending on these metrics, this tool also identifies the top post per day. Buffer tracks only those posts that you make via its platform. Operating in different languages, AgoraPulse can be used to track improved engagement analytics across Instagram, Twitter and Facebook. Other than standard metrics, this premium platform ranks the users who share your content often and notified you whenever your profiles and pages have been mentioned. You can count on BuzzSumo to quickly track the best social content within your niche. Just plug in a phrase, keyword or URL in the search bar in order to see who is sharing related content on every major social platform. Then, you can use this tool to market your material since it recognizes the most powerful sharers to reach to. What is there to tell about Google Analytics which has not been said already? Being the obvious best choice for analyzing web traffic, it is also perfect for assessing social media metrics. It can be used to easily measure the traffic coming from different social websites, finding how the visitors convert and whether they convert. Woopra, a real time, premium web analysis tool is used by marketing and sales companies to offer aggregated clients analysis report. Woopra lets the users to keep track of the blog posts, comments and searches. It also enables users to communicate with clients in real time. As a premium, self-hosted website analytics tool, Mint imitatesdata collection feature like that of the Google analytics. It is a fully customizable tool which tracks the basic statistical facts like popular pages, traffic trends, searches and more with a pleasant interface. KISSmetrics, a premium web analytics tool not just is limited to site visitors’ stats, but also assists get and retain clients by evaluating the engaging behaviors. It offers you with complete real-time data which allows you to enhance the conversation rates. Alexa allows the users to evaluate how to enhance SEO by specifying influential keywords utilized by the competitors. This Premium tool offers data about traffic stats and main search queries depending on SEO analysis. Mouseflow is a premium web analytics tool which is a mix of two different website analytics tools namely UserTesting and Crazyegg. By using this tool, users can watch videos of users who interact with your own site. This is a specialized solution which can help you check the performance of a site. Being a comprehensive, free tool it also helps you get lots of information. It comes with a report about the top practices you can use for the mobile devices to optimize their performance. Basically, it is a free monitoring service that keeps tab on server, a site and a network too. Pingdom’s site speed testing tool is available online for free and it offers you with high quality detailed input on different aspects like page size, time a site takes to load, etc. This smart and neat testing tool offers you with data about the webpage’s rendering speed in the real browsers like Internet Explorer, Firefox and Chrome. It can also imitate common connection speeds such as 56K dial up and DSL. It is available for use for FREE. It offer you with highly resourceful information about your web page speed, which includes the load time, total web page weight and total number of pages objects. This tool also offers you a comprehensive and global insight on how a site is doing by sending the pings from 4 different locations. Looking for an old, reliable, tried and tested solution for evaluating your web page’s performance for free? If yes, then Web Page analyzer is perfect for you. It offers information on the web page sizes, different loading times and assets along with recommendations about options for improvement. This FREE tool offers you with lots of information. You can find out how many people really are seeing your tweets and engaging with them, whether the Twitter campaigns are efficient and all kinds of helpful demographic data regarding your followers. This tool offers everything you require to track the efficiency of your PPC campaign and your site performance. It is available for free and a Premium option is also available for larger enterprises. Certified Knowledge, a premium tools has a great suite of tools that will assist you analyze data, make many ads and optimize Quality score. This offers both mobile app and web analytics solution. The strongest points for the tool include funnel analysis, real time data, coherent analysis and in-depth analysis. Its report offers you the abilities to link between mobile users and web users, to know the site’s retention stats. This tool is great if you’ve a newly launched app. Both free and premium packages are available. As a premium mobile app analytics tool, it caters to different business. It serves to apps on the mobile platforms like Android, iOS, Windows phone, HTML5 and BlackBerry. This FREE tool offers you reports on the app use and other similar reports by device, location, app version and carrier. Localytics also offers unique features like push messaging, in-app messaging and life time values tracking. This is a free tool for mobile app analytics for Android, iOS, Windows phone, mobile web and BlackBerry. Mostly Flurry analytics is based on the users’ acquisition. This tool offers you data on sessions, active users, frequency, session lengths, demographic, retention and audience persona. It also offers information about carriers, devices, errors and firmware. It offers a wide variety of solutions like mobile measurement. It offers mobile analytics both for mobile apps and mobile websites. WebTrends offers real-time campaigns reporting with intuitive dashboards and data visualization. The major metrics offered for mobile sites include heatmaps, real time social metric, traffic source, visits and next pages. It’s a mobile analytic provider which claims to offer the most sophisticated packages for mobile marketers. It offers major mobile marketing campaigns metrics like installs, clicks, ROI, in-app events and revenues. You also get unlimited attribution tracking, unlimited event tracking, cohort and funnel analysis and continuous support. This tools has both free and premium versions. This paid tool promises to assist marketers to reach out and get the clients with convincing content. This online presence management tool assists you make a platform using the unpaid channels such as content, social and organic search. This technology also collects the information intended at helping the marketers renovate their brand. It is internet marketing software that aims to simplify links, ranking, brand, content, traffic and social, all at one place. It also promises to help the marketers find missed conversations, SEO opportunities and errors with custom research and reporting tools. You also can create as well as manage your online business listing with just a single click of your mouse to boost the local search result and avoid your business or brand from getting lost. This tool has four powerful tools that will deliver all what you need for great SEO functionality in just one package. SEO PowerSuite can assist marketers find out the ideal site optimization campaigns with particular automated SEO tasks in order to put their sites to top. You can also speed up your SEO competence by easily personalizing your SEO campaigns by evaluating top competitors in specific niches. The rates vary from package to package. The Advanced Web Ranking tool helps the arketers to flourish by offering local and even mobile rank tracking, competition monitoring, data privacy and while label reports. It promises that you’ll spend lesser time in monitoring and more of your time in optimizing as this premium tool grows your revenue and business with pinpoint accuracy report and monitoring, the on-demand ranking update and much more. Just enter your Facebook’s page and this premium tool will offer you with weekly emails that incorporate ranking, trends, growth metrics, engagement metrics and unique authors’ engagement with content. This tool compares your own performance with industry leaders and competitors. This report shows top updates from your competitors by engagement. This premium plan comes with 30 days free trial. Gain insight about your audiences, their activities and demographics. Track your reach, content, and engagement. SoTrender generates reports and offers you with recommendation based on data. You can easily schedule as well as publish posts and manage y0our workflow easily with this. You can get alerts, which helps you remain on top of negative comments. This platform covers a variety of metrics. It includes influencers, audience, engagement, sentiment and mentions. It also has unusual features that monitor all your competitor’s bios and even updates, even if any of them modifies. There are many different kinds of reports that are available and you can also build your own report. This tool is a premium tool available with 7 days free trial. This tool provides analytics that cover usual suspects including demographics, sentiment, summaries of performance and more. You can easily monitor effectiveness of Facebook marketing and track the organic social mentions. This tool also has publishing section, so that you can make and schedule the posts across many social accounts. It has the capability to segment your account by country or language, so that you can schedule post if you’ve many language accounts. It is a simple and free Facebook tool. Once you’ve authenticated, then using this tool you can examine any Facbook page for free. This tool shows you the number of posts, likes, commentes and authors. Sociograph.io also shows average number of comments, shares and likes per post, the different post kinds, the best posts in selected timeframe, etc. It offers a lot of actionable data.